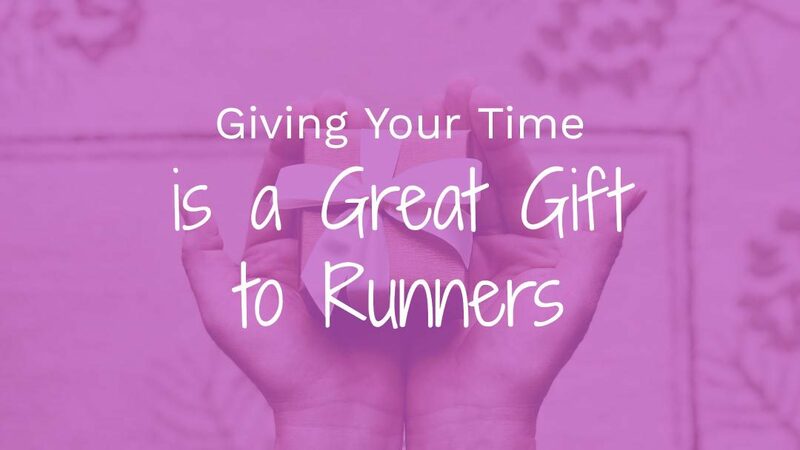 When we talk about gifts, most runners already have all the gear they need. Because of this, it can be quite challenging to buy them anything. But have you ever thought about gifts in another way, like giving them support, attention, and your time? Most people are so busy trying to buying runners new gifts and gear, and they end up forgetting such simple but fundamental things. Providing someone with support, giving them your time and attention is actually more important than material gifts. This is mainly because with your support you can seriously impact and inspire this runner to do more. Most people need encouragement to be able to push and do what they love best. Therefore, here are some fun ideas to try out. For your friend to make and achieve the goal of making it to the finish line, he’s going to need some help. Therefore, you can try and support them by being their workout buddy. You can start by going on daily runs with them or even hitting the gym with them for some good workouts. Besides, it’s not only healthy for you but also provides a great way to catch up. When it comes to training for runners, they need the best environment to maximize on them and emerge to be great; and what better gift to give runners than helping them find new routes for their runs? You can help your friend locate new routes for training and go with him/her. What better gift to give for a runner than signing them up for a fun run and you also go with them? Fun run is a friendly race which involves either cross country or road running. Usually, fun runs are held to raise funds for charity. Therefore, participants who take part in a fun run are there for enjoyment rather than competition. So, this can be an excellent gift for your runner friend or sibling. This is another great gift for runners. The best thing you can do for runners is giving them the best support that they could ever need. And what better way to show support than cheering for them and helping them along the journey? Cheer-leading is a great idea, and you can really consider this as one of the best gifts for runners. This is also another one of the best gifts for runners. You can choose to help in babysitting for your friend so that they can have more time to attend training or go for a race. This greatly helps in showing them support knowing that they can rely on you as a friend to be there when they need you. Everybody cares for good food; therefore you can consider this as another great gift for your runner friend. You can consider taking your friend to a good restaurant for some carb-load before they hit the tracks for a good race. Talk to them and let them know you believe in them and that you are always there to support him/her. To show support is extremely important and one way you can do this is by always reaching out to your friend to know how they are doing. Once in a while call them to know how they are doing, send them a text message and chat for a while. Send them an encouraging quote to let them know you still believe in them and that you’re always their number one supporter. This can go a long way to helping your friend achieve their dreams. Sometimes all that runners need are just simple stuff that you see are too small. All they need is to know that they have people behind them who are always there to catch them even when they fall. Everyone needs to know that there are people out there who love him and will always be there no matter anything. So, this is also one of the best gifts for runners. Make small things count. The best gifts for runners are not just material things but also support and love. Sure runners require the right gear for training and race, and it is okay to buy them such gifts. However, without the proper support and love, all those material gifts can go in vain if the runner doesn’t have the right motivation to achieve their goals. Of course, there is a place for material gifts also. Here you can see list of that kind of gift ideas for runners.